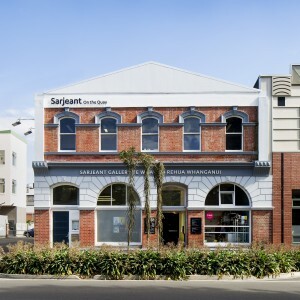 Sarjeant on the Quay is the temporary home of the Sarjeant Gallery Te Whare o Rehua Whanganui and is centrally located in Whanganui at 31 & 38 Taupo Quay. The two sleekly modern galleries exhibit touring shows and works from the nationally significant Sarjeant collection. During Open Studios the Gallery is proud to host the 2019 patillo Whanganui Arts Review, a community art exhibiton open to artists living in the Whanganui river region embracing art in all mediums.